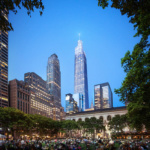 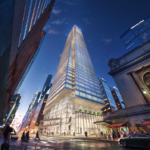 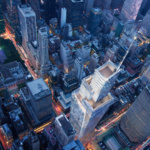 This week Mayor Bill de Blasio, developer SL Green, and other suited officials gathered for the ceremonial groundbreaking of One Vanderbilt Avenue, soon to be one of New York’s tallest towers. 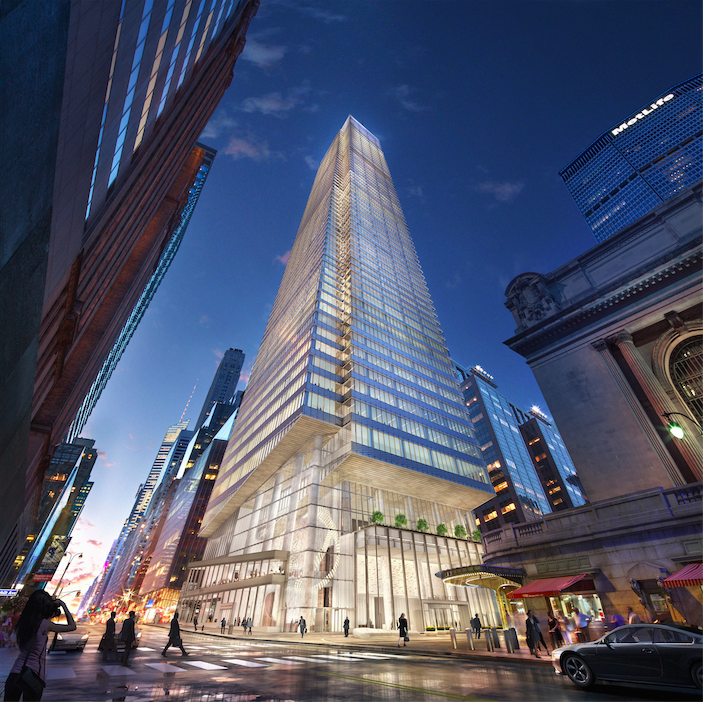 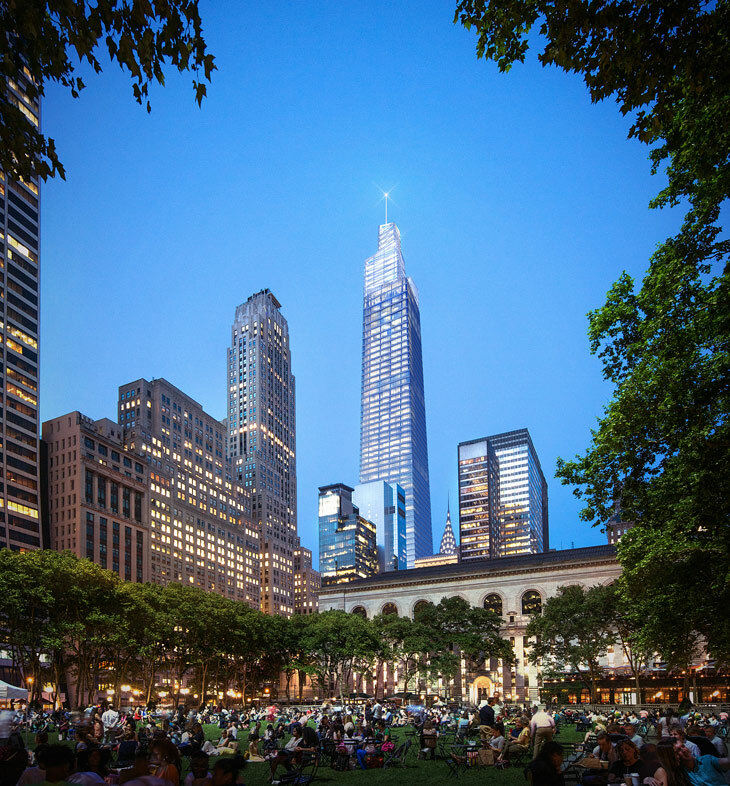 The building, designed by Kohn Pedersen Fox (KPF), will rise 1,401 feet skyward when it’s complete in 2020. Notably, developer SL Green, the largest commercial property owner in the city, is investing millions in transit infrastructure upgrades in and around the site, which is across the street from Grand Central Terminal. 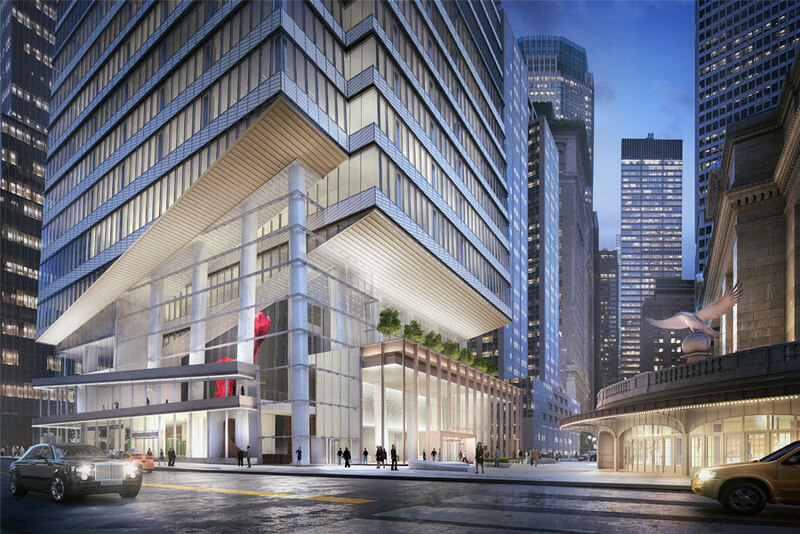 Litigation that hampered development was settled in August, allowing the project to move forward. 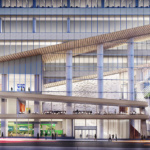 On the public side, improvements include a transit hall at the tower’s base, a 14,000-square-foot pedestrian plaza on Vanderbilt Avenue, and more points of access to and from Grand Central for straphangers, Metro-North riders, and the Long Island Railroad’s planned East Side Access. 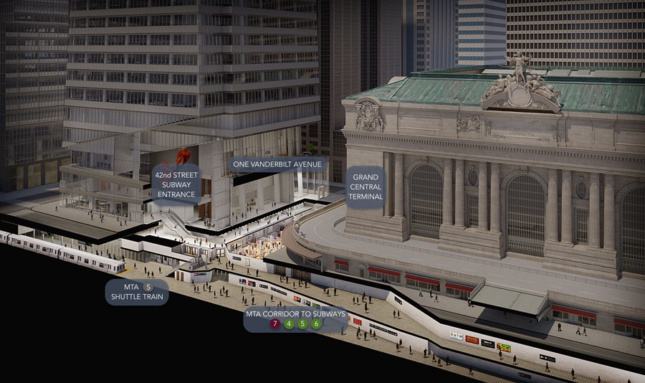 Grand Central, Mayor de Blasio noted at the ceremony, is the system’s second-busiest, with 154,000 people passing through daily. 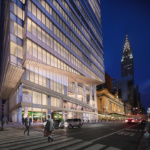 The tower’s enhanced public offerings are no accident, but an exchange for super size. 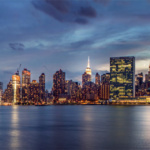 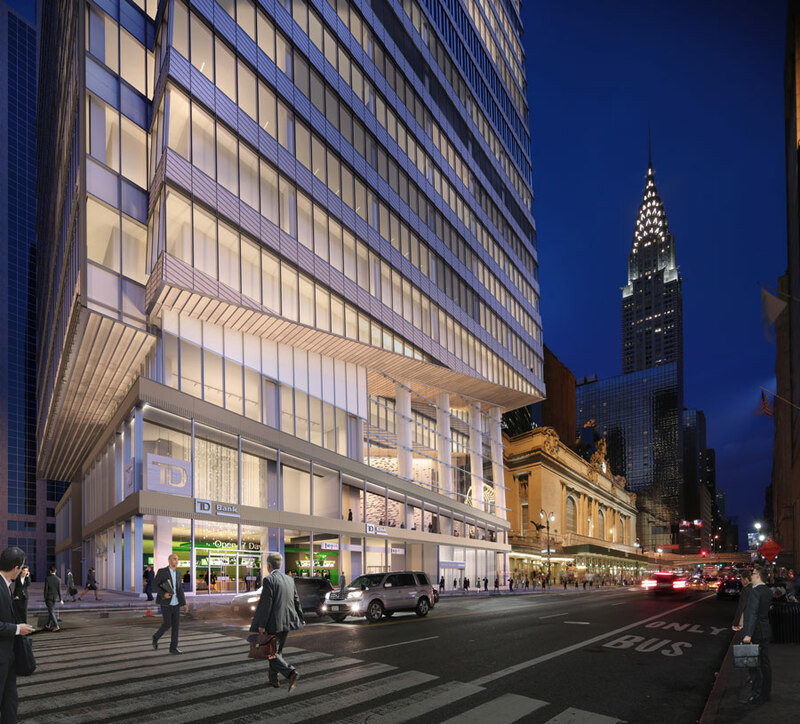 The developer and city officials want One Vanderbilt to be a model of the type of development that could happen under the proposed rezoning of Midtown East. 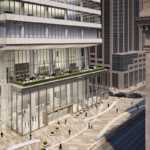 Weisbrod’s remarks allude to the city’s plans to add more competitive Class A office space to Midtown East to make the neighborhood more attractive to tenants who flock to modern office space downtown and in New Jersey. 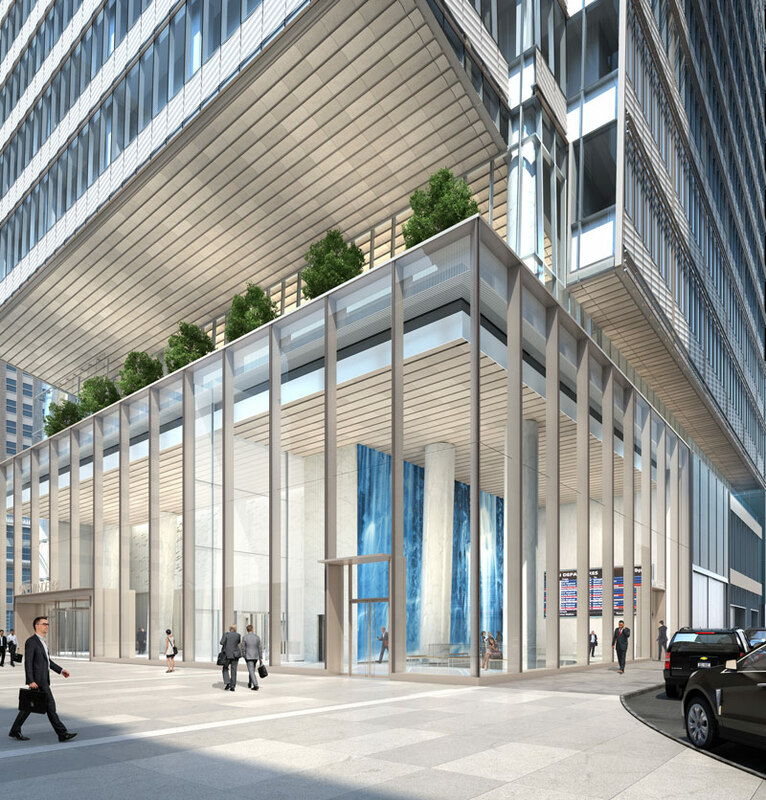 In October, Weisbrod told DNAinfo that the rezoning will most likely be approved within 12 months. 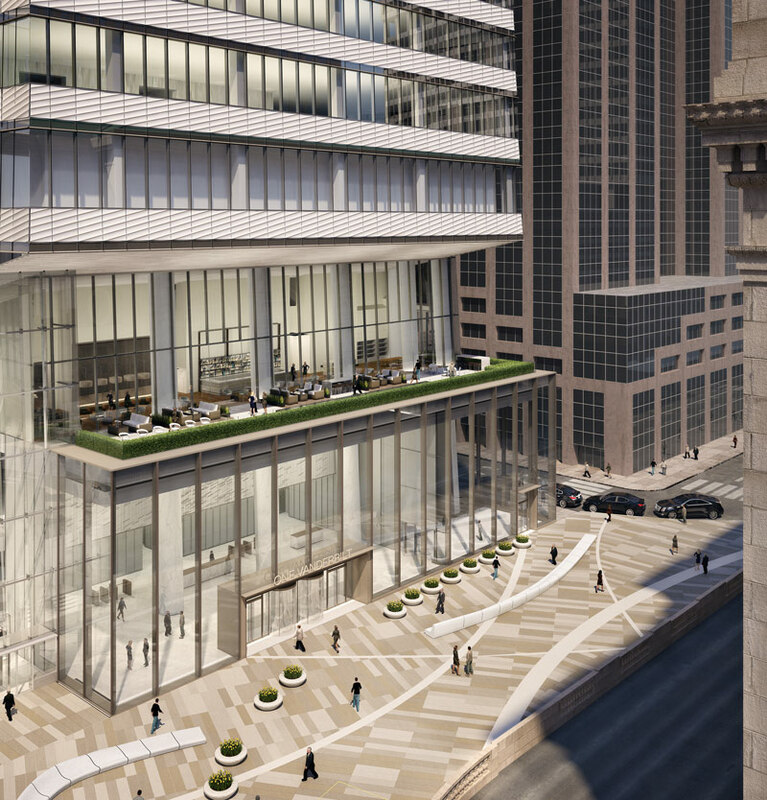 The public portions of the 58-story building will come online before the project is totally complete. 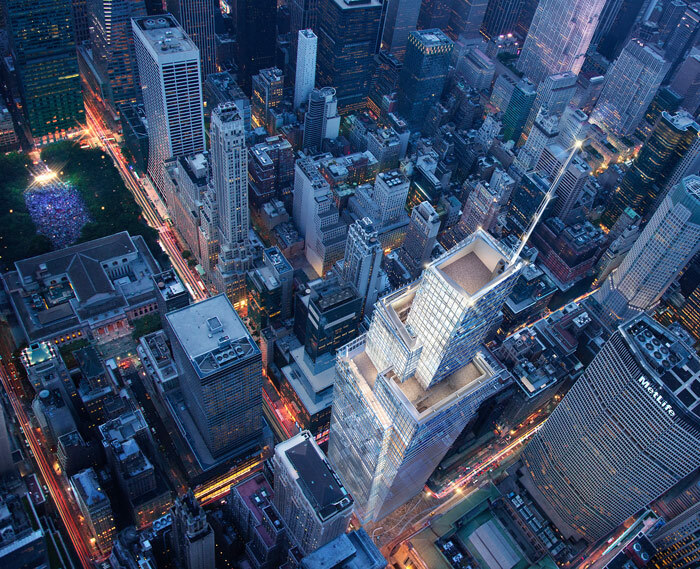 As for design, the tower’s taper nods to New York’s classic skyscrapers, while its sharp articulations express contemporary supertall ambitions. 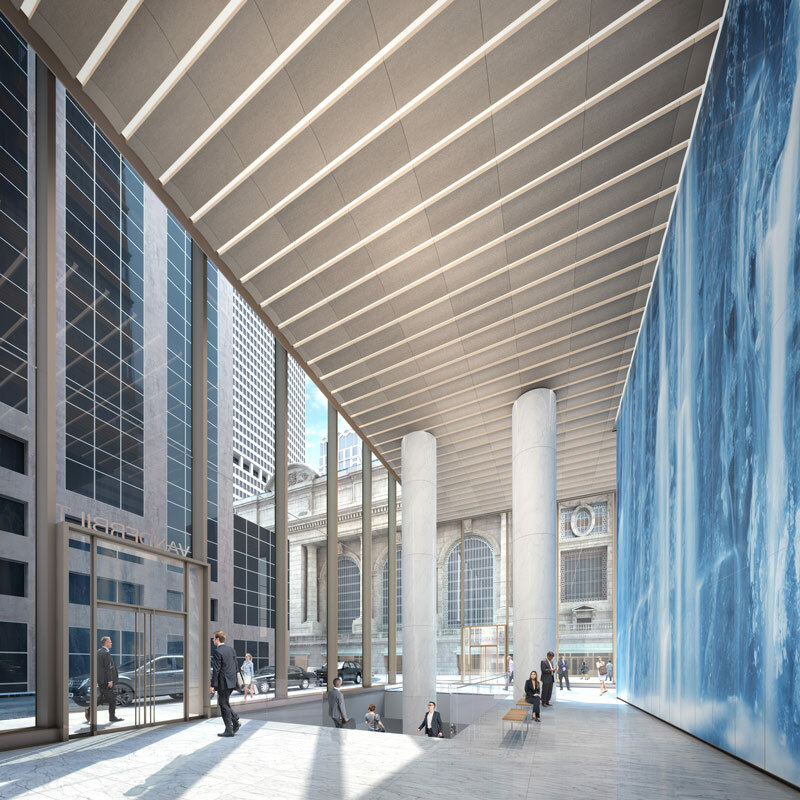 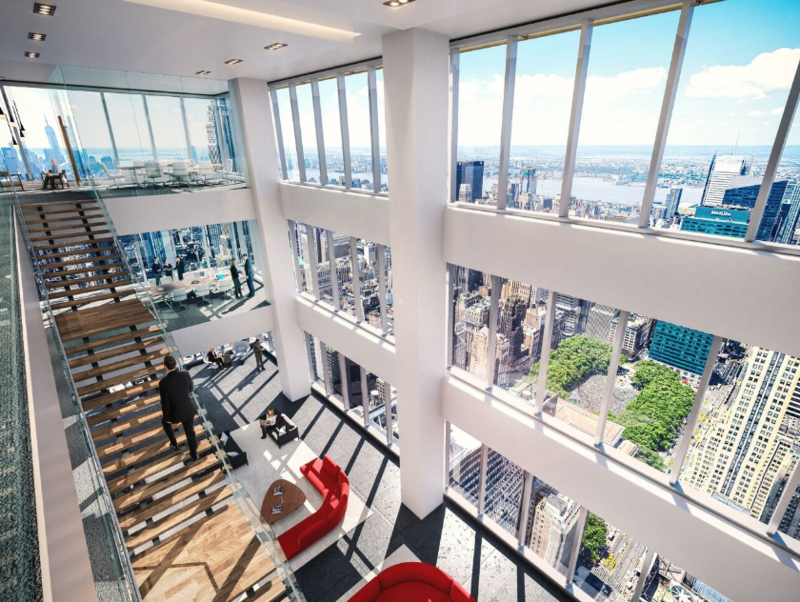 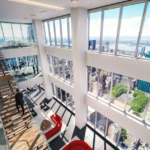 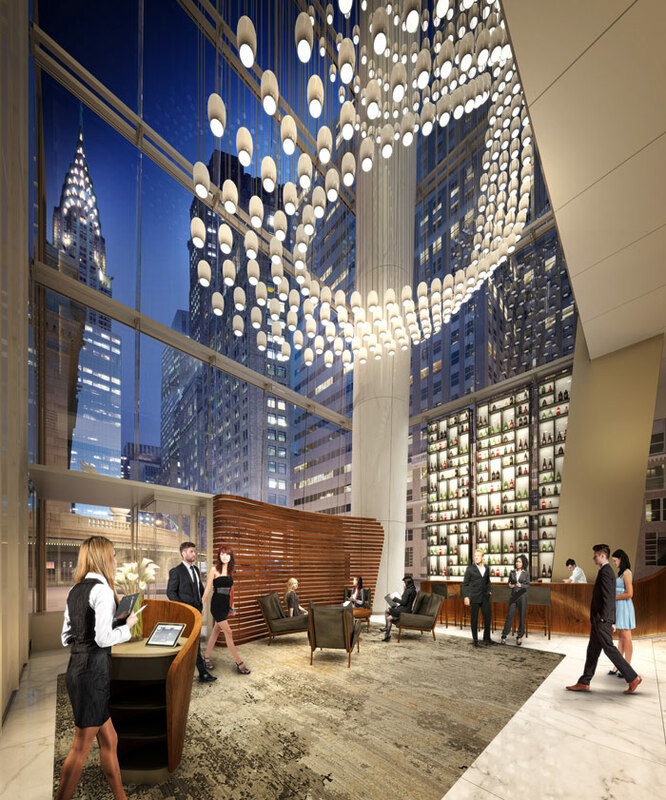 The $3 billion “trophy tower” will contain 1.7 million square feet of Class A office space, ceilings up to 20 feet tall, and de rigueur column-free floor plates. 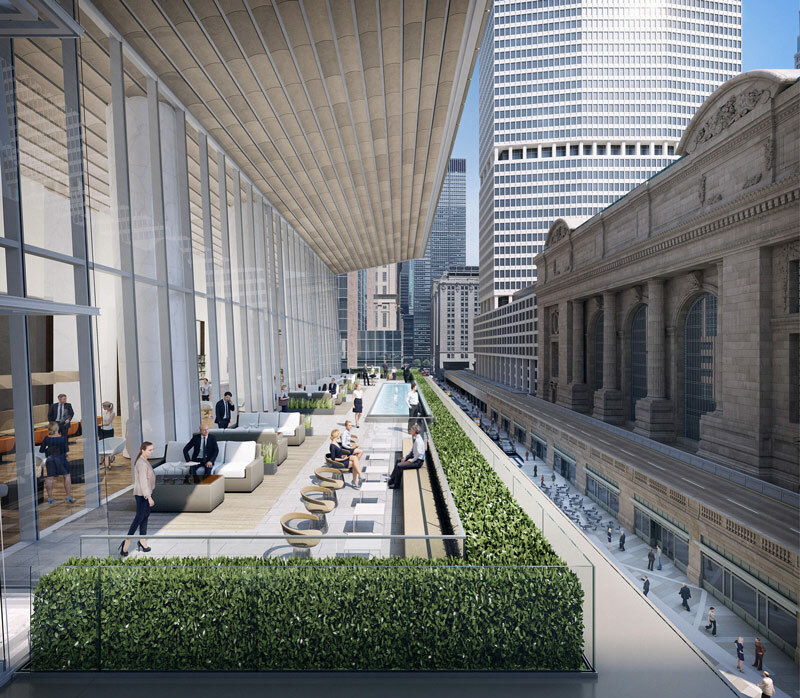 On its subastral levels, the structure leans back from the street, allowing previously obstructed views of Grand Central’s cornice on its Vanderbilt Avenue side. 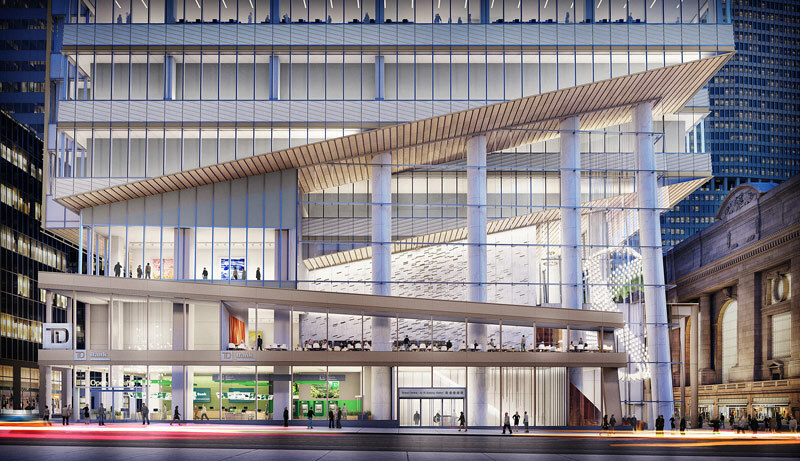 More images of the project are available on the building’s new website.